Rapista | The Rapista Blog | www.rapista.blogspot.com: OvenFresh! Signif presents her new album "Friction"
OvenFresh! 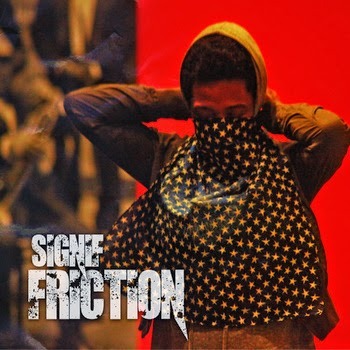 Signif presents her new album "Friction"
Milwaukee-bred, NYC-based emcee Signif presents "Friction", her new album featuring Elzhi, Sadat X, Aldrick, Genesis Renji and Emmy Wildwood as well as production from Skeff Anselm, DJ Puerto Roc, Fate, Radio Raheim and Moteleola. "Friction is about the conflicts people face, or have faced when dealing with life on a day to day," says Signif. "I played off the 'Friction' title, because even though I live and practice a peaceful way of living and thinking, I’m still faced with a good amount of opposition, so I wanted to address some of those situations. The inspiration behind the album was to share some of my views that may have been misconstrued from previous works, also to keep the listeners engaged on my different perspective to certain social issues, and to have fun of course." "Friction" is out now on Intelligent Dummies, and available on Signif's Bandcamp.